Please welcome Sharona Muir to The Qwillery as part of the 2014 Debut Author Challenge Interviews. Invisible Beasts was published on July 15, 2014 by Bellevue Literary Press. In 2009, in The Economist’s science section, a reviewer of Frans de Waal’s latest book wrote, “Every day the world seems more like Aesop’s ‘Fables.’” The book was The Age of Empathy and, as in Our Inner Ape, de Waal argued that traits long considered exclusively human were part of the evolutionary makeup of many animals—his point being, as usual, that human nature must be studied in the context of primate evolution. That same year, in the PMLA, a column titled “Why Animals Now?” led a cluster of articles. Literary scholars were studying beasts: the puppy in The Great Gatsby, Jack London’s wolves. A colleague sent me the issue and I began playing catch-up. I’d been waiting, as they say, all my life for these new ideas now carried on the wind. I read the 2002 reissue of Janine Benyus’ Biomimcry: Innovation Inspired by Nature. My father, an inventor, had studied snake fangs to make hypodermic needles; now this method had a name, and a professional stance of regard for nonhuman ways. In 2006, Martha Nussbaum, the Chicago polymath, redefined justice for animals in Frontiers of Justice. In 2007, Paul Churchland, a neuroscientist, stated in Neurophilosophy At Work that the brain’s structure did not suggest that consciousness was tied to language—blowing away an old tenet of human exceptionalism. 2007 also saw the publication of the English translation of Jacques Derrida’s book, The Animal That Therefore I Am, which starts with the great deconstructionist exiting the bathroom shower while his pet cat stares at him. As I read, my narrator, Sophie, took shape; her voice distilled the main ideas I’d learned. In the epigraph of Invisible Beasts: Animal life is mindful, and the mind’s life is animal. In the introduction: Human beings are the most invisible beasts, because we do not see ourselves as beasts. But it took the mojo of E.O. Wilson’s Anthill to crystallize my stack of fables into a meaningful literary form. Sure, it’s a novel, it reads like fiction. But if “novel” is its genus, “bestiary” is its species. And what’s that? Long before science existed, the bestiary did. Catalogues of beasts with curious lore, bestiaries gave us the unicorn and the phoenix. Their compilers were ancient naturalists, or monks in wildest, darkest Europe. Treasure troves of enchanting imagery, moral lessons, and religious wisdom, traditional bestiaries described how snakes stun prey with their dazzling beauty, wolves eat the wind and whelp during thunderstorms, and the halcyon calms the stormy sea. What these books did not do was concern themselves with scientific accuracy. So, to a modern reader, their beasts are too heavily symbolic, too human-centered, as if carved into the rich frame of a mirror. 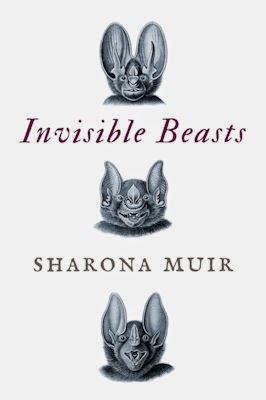 But in Invisible Beasts, the biological facts in each fable show the faces of other realities, other species, their different ways, and the necessity of knowing them—and ourselves—as animals among animals. The happiest moment of this novel’s writing was when, with biology on my mind and a good dog by my side, Plato’s antique symposium suddenly revealed something quite unexpected about love. My novel tells any reader who enjoys its flights of fancy or wisdom: Go learn a little from your fellow beasts. For the climate of ideas is changing. Sharona Muir’s writing has appeared in Granta, Orion magazine, Virginia Quarterly Review, The Paris Review, and elsewhere. 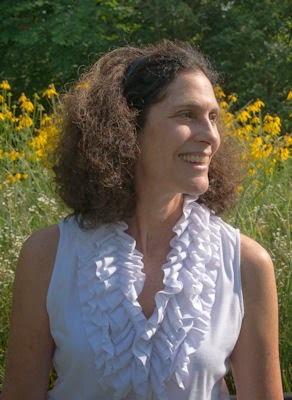 She is a Professor of Creative Writing and English at Bowling Green State University in Ohio. Invisible Beasts is her first novel.